WHAT DO I GET MY NEIGHBORS FOR CHRISTMAS???!!! 2. Meaningful– whether it is personalized for them or it is something that just makes life easier (see idea #3) it is great to give something that blesses their lives in some way. 3. Easy– I hate being “crazy busy” this time of year. It takes the joy out of the season for me so my neighbor gifts HAVE to be easy. 4. Finally, it has to be something that won’t go directly into the garbage after I drop it off. Let’s be honest, we have all received some of those gifts before! With that, here are a just a few ideas for you from nannygoat. I love to give handmade ornaments for Christmas. These are the washer ornaments we made last year. 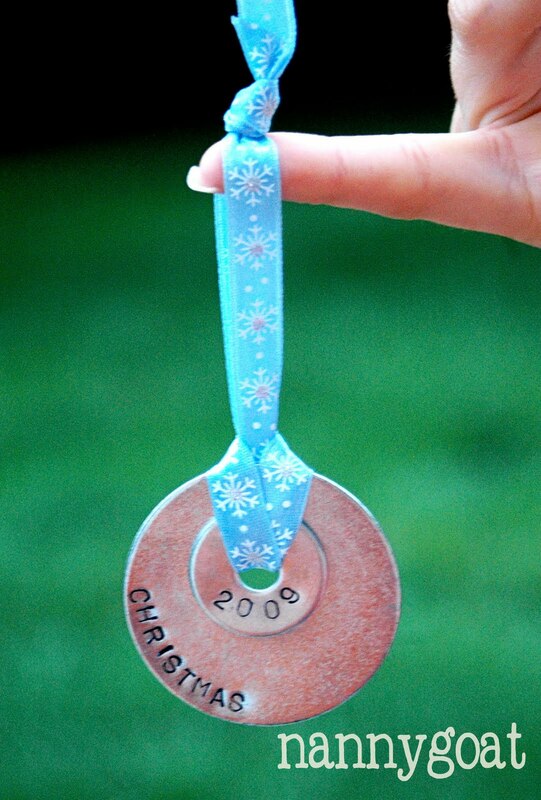 They are so easy and you can personalize it with their name etc. Also, I always put the year on the ornament so it can be a keepsake for them to look back on through the years. 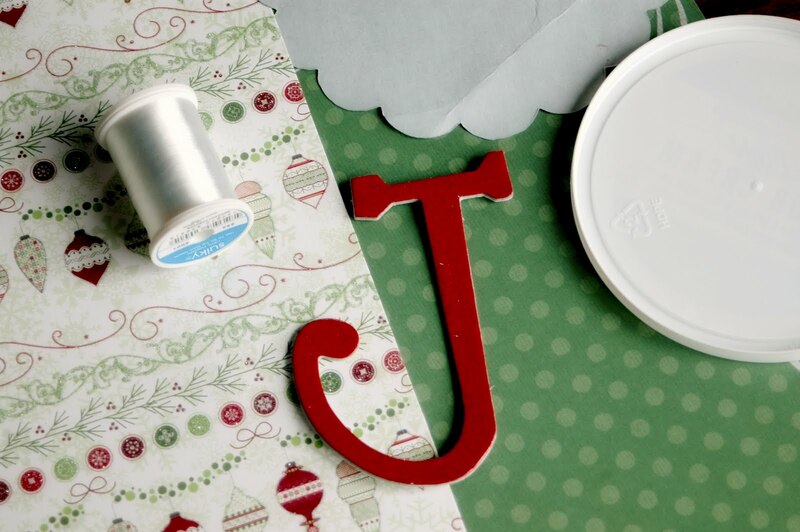 This ornament idea comes from my favorite banners (so easy to make). I love to personalize ornaments, in this case by using the first letter in their last name. 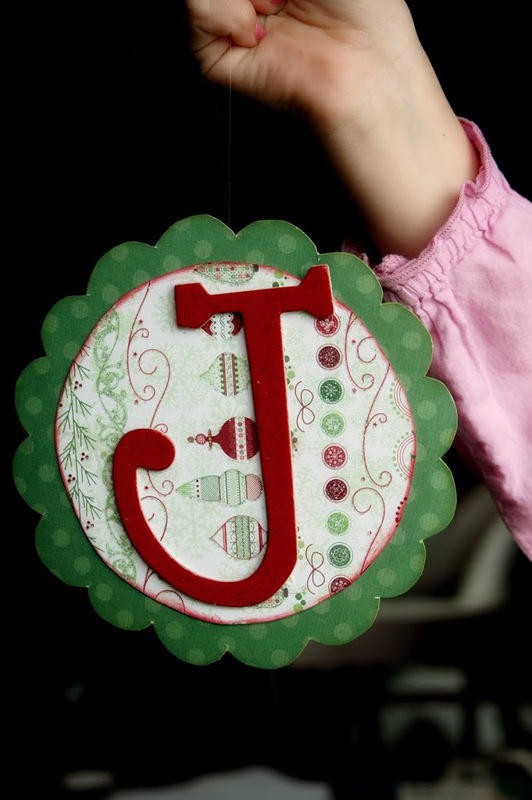 For more details on how to make this ornament just check out my banner tutorial here. A little note (make sure you put the year) for the back side of the ornament. And there you have it. So easy and so cute! Simply a roll of Christmas wrapping paper and a tag. 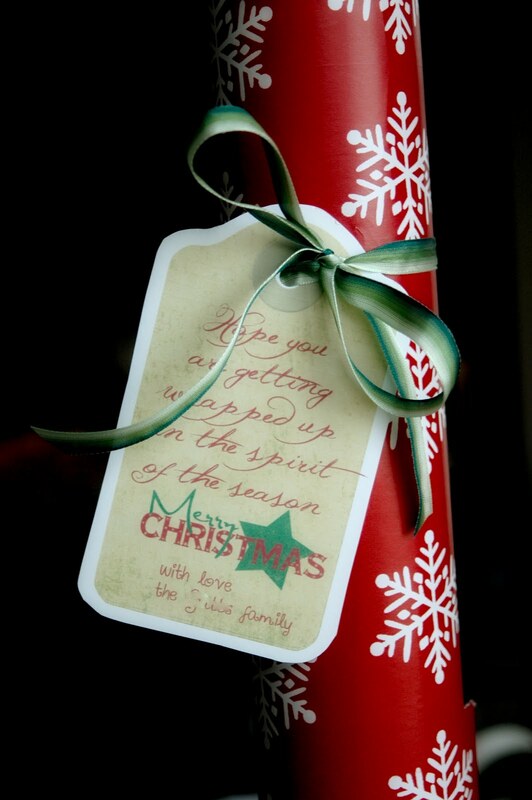 The tag says, “We hope you are getting wrapped up in the spirit of the season. Merry Christmas! 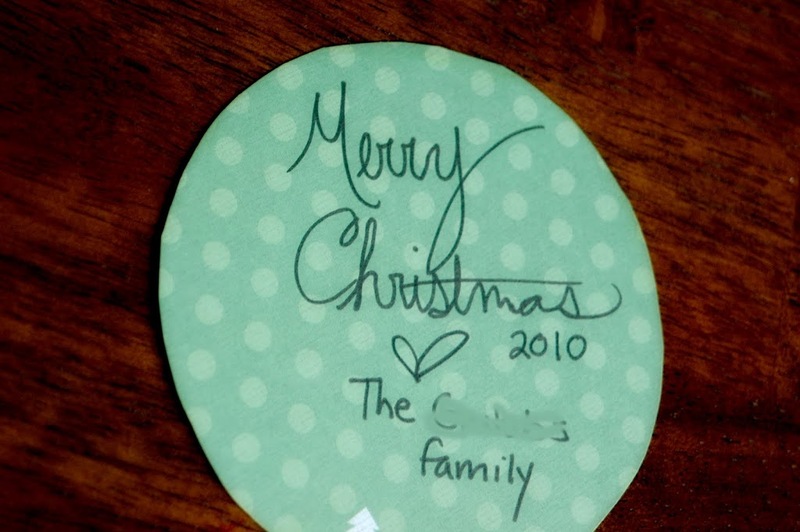 with love, the _____ family” I LOVE this idea because it is something they can USE and may make the holidays just a little easier for them (am I the only one who has run out of wrapping paper on Christmas Eve?!) Just make sure you get it to them before Christmas so they can use it and don’t have to store it for a year! Thanks so much for sharing these great ideas. I agree, easy and not time consuming and worthwhile. We all get ” those” gifts don’t we? I love the wrapping paper one, now that is too good to be true. What an awesome post!!!! So happy I found your blog! I love the wrapping paper idea! Thanks for sharing! I found this on pintrest. I love the ideas. I will so be using them! Thank you for sharing!